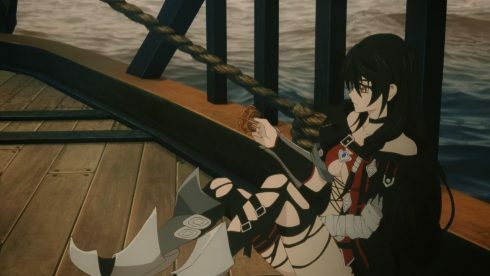 Just how much money was sunk into this rather awkwardly placed, two-episode promo for Tales of Berseria? I mean, the only word I really have to describe this week’s episode, even more so than last week’s, is “lavish”. Lavish, rich, gorgeously animated but ultimately out of place, immersion breaking and definitely over staying its welcome. See the problem that I have with this episode and the last one, is not only that they take up time from another game’s story entirely, but that they feel like a waste rather than something constructive or productive. 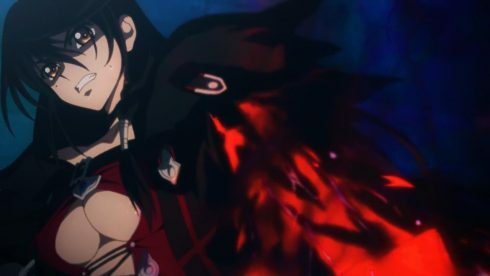 The impressions that I got from this little introduction to Tales of Berseria, were not positive ones, with this week really just overwhelming with action scenes that felt like they belong in an OVA or a movie, rather than in the middle of an ongoing series. My biggest problem with this week’s episode in particular, is how it lacked substance. 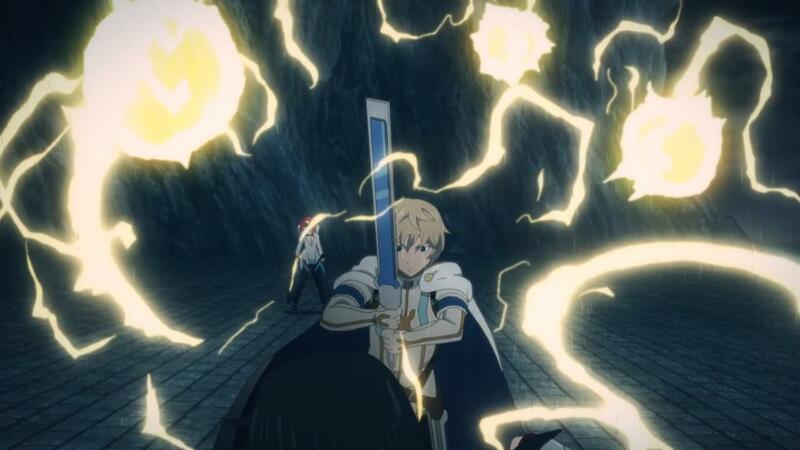 There was too much of an emphasis on not only showing a bunch of seemingly important characters, but also in just having said characters unless their splendid looking attacks, and going at one another. 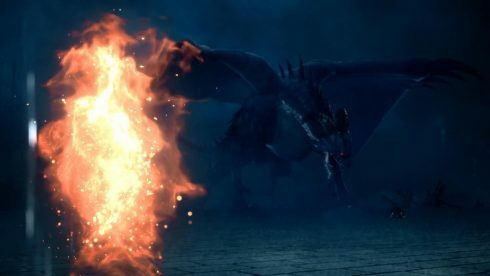 The way the dragon was animated in this episode, was jaw dropping, as were the spell effects, the expertly choreographed fight scenes, and even the art direction. 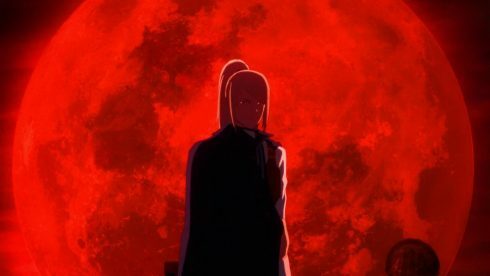 But through all of that, I just couldn’t felt but wonder about the budget of this episode, and how much of the series’ financials had been spent on just these two episodes. To me, it felt like the entire point of this whole series, was to actually time it out with the upcoming game’s release, and just have these two episode serve as a promo for it. 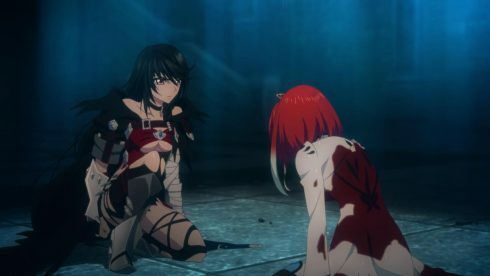 Because what these two episodes do, is frankly show a huge disrespect for the story that this series is supposed to be telling. 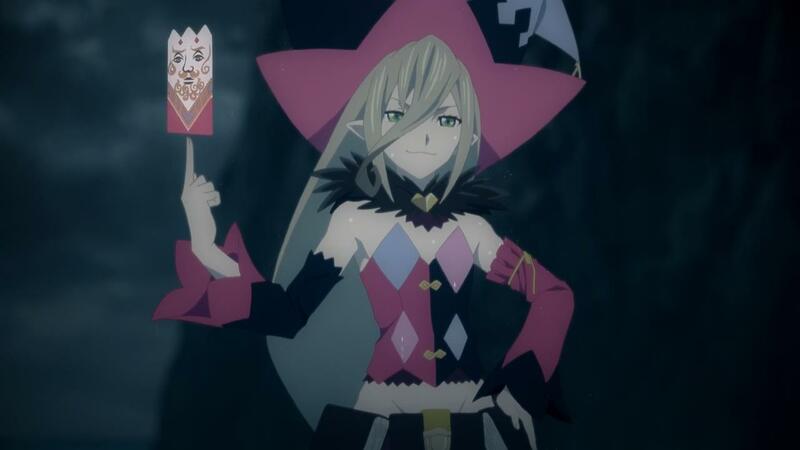 Its quite clear, from this episode along, that Tales of Berseria is almost the tonal opposite of Zestiria. Velvet is the very definition of an anti-hero, and I’m not even sure if the hero part of that idea, actually even applies to her. 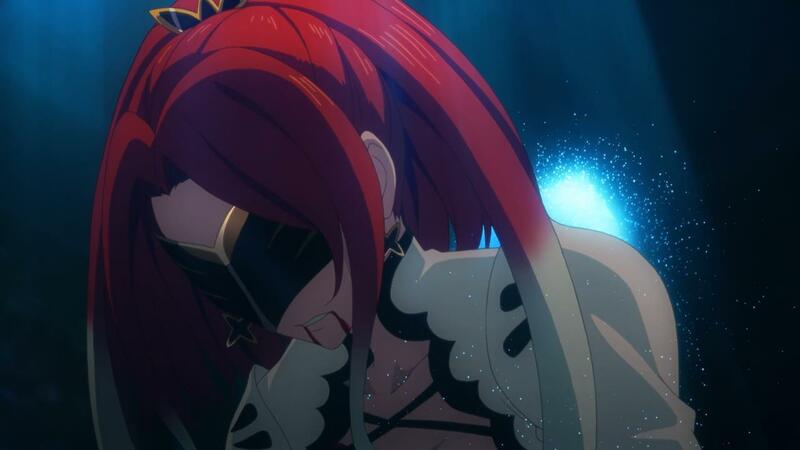 She seems like a vengeful villain almost, and seems to be the only character that you can actually get behind, in a world that’s fundamentally broken. 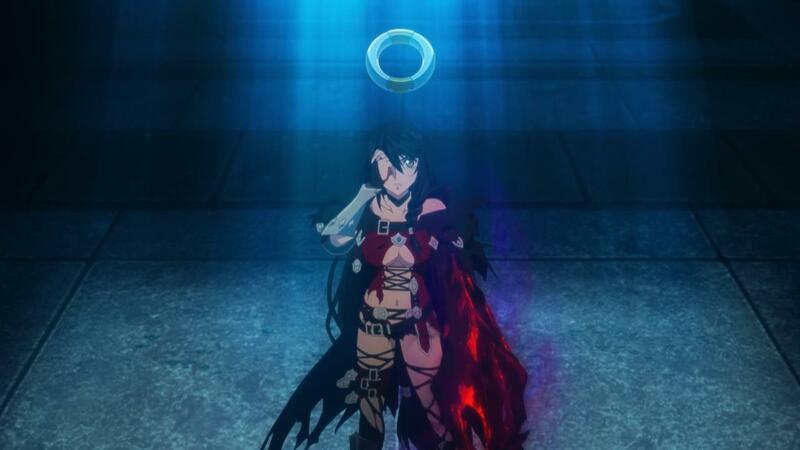 And the reason you actually do get behind her, isn’t so much because she’s a likable character, but because everyone else in this world, is far worse. When your title protagonist seems like the lesser of a ton of evils, then I think there really is a problem here. And its not like I don’t see what Tales of Berseria is trying to do. 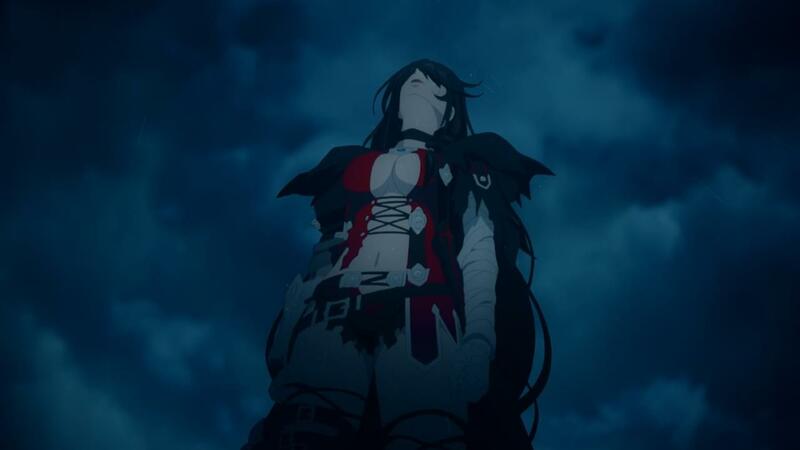 Tales of Berseria, with its darker world, its vengeful, tortured protagonist, and its more cutthroat story, seems to be going for something different. 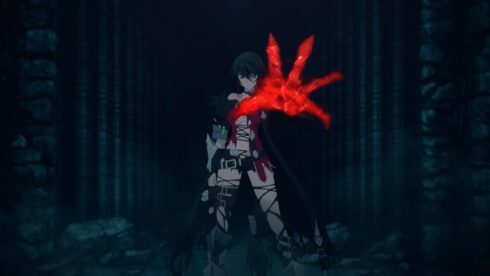 It seems like this game, and this story, is intended to go to places, and be things that no other Tales game ever has. 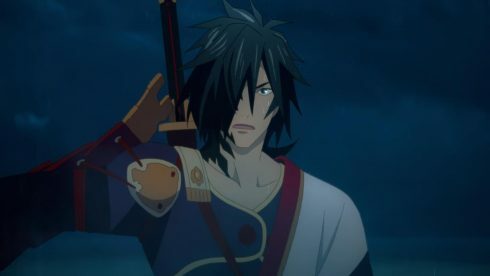 Dark, depressing and dreary are elements that Tales games have had in spades before. Xillia 2 for example, definitely felt like a game that was darker than some of the other more light-hearted and relaxing entries in the series. 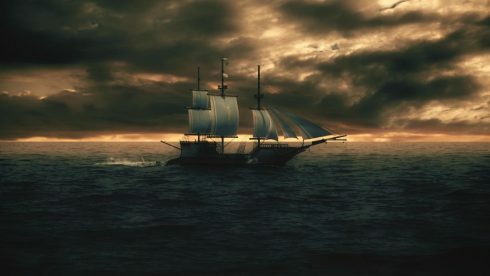 While there’s been an undercurrent of sadness in most Tales stories, rarely if ever has a dark and depressing tale of vengeance been a focal point. 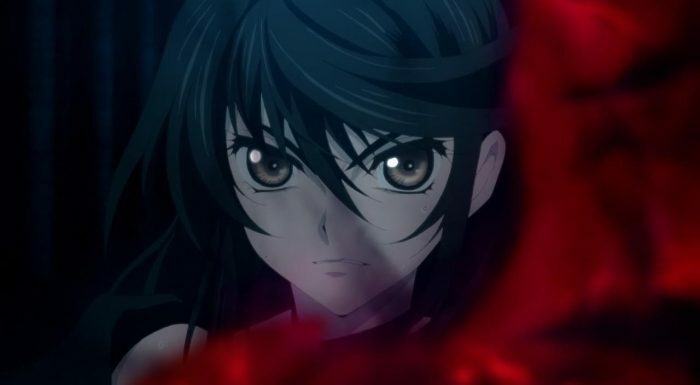 But here we have that, and we have a protagonist that seems hell bent on exacting her revenge, without any care or compassion for those that she may use or step on to get to where she wants to be. The whole scene with Velvet eating Seres, while refusing to thank or apologize to her? In her stoic, badass, “I-don’t-care” way? That scene was indicative of the kind of story that this game and this world is going to present. And I’m not sure I like it, to be quite honest with you. Personally, I’ve always preferred the Tales games that have had a more likable cast and a more optimistic story. Tales of Graces F, Tales of Xillia (the first one), Tales of Hearts R and Tales of Zestiria, are among my favorites in the series. They’re all generally very happy and charming most of the way through, with some rough spots here and there. Tales of Zestiria in particular, is an optimistic and pleasant story. 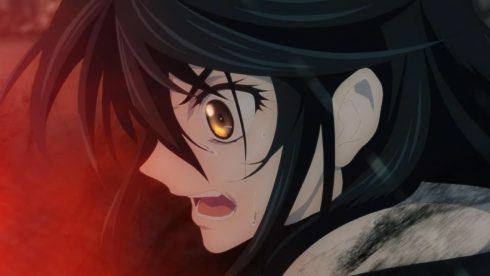 And that’s why this whole promo for Tales of Berseria, feels like such a slap in the face. Tales of Berseria is everything that Zestiria is not, and while I’m open to judging the game on its own terms and merits, its hard to separate it from Zestiria, when its shoved in the middle of that story. The darker, depressive tone, the weird quirky characters, the unlikable protagonist, none of these things fit all that great together. While last week I was generally intrigued by the world of Berseria, and even some of the characters, this week had me feeling very different. I’m not sure I’m entirely interested in Velvet’s revenge story, where she’s basically after one of her brothers, for killing the other. 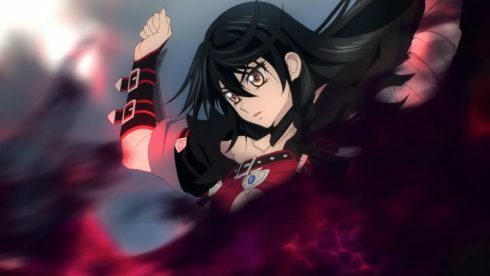 Velvet may look cool taking down monsters, and even seem badass while she sacrifices her allies, but there’s no heart or soul to her. And that’s I think a good analogue for the episode as a whole. It looks cool, heck, it looks fantastic, but there’s no emotional core to this story, and definitely not much of a point to it. 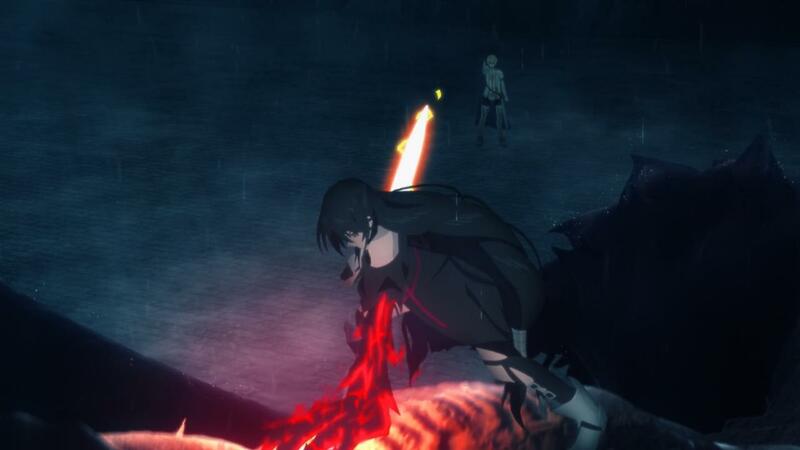 Velvet encounters someone who I assume is one of the “bosses” and antagonists of the game, she doesn’t win against him, but then kills a dragon by sacrificing her one ally and powering up. All that says to me, is that the opening chapter of this game, may not be as interesting as I’d have hoped. 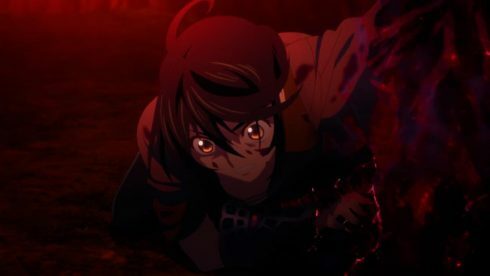 I’m sure that the Seres eating scene, is supposed to be the first major “twist” in this story. Its supposed to tell you just what kind of a character Velvet is, and just how far she’ll go. She’s no hero, and she’s not trying to be one. Which is fine, but there is that sense of annoyance, at least on my end, for having gotten that particular moment spoiled here. 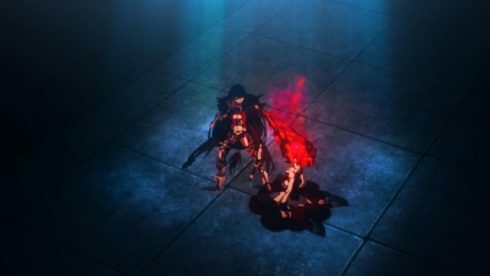 I guess what I’m trying to say is, that despite how magical and great ufotable is at animation and visuals, this episode actually did the exact opposite of what it set out to. It was supposed to get me, a fan of the Tales series, excited for Tales of Berseria. What it actually ended up doing, is make me really temper my expectations. 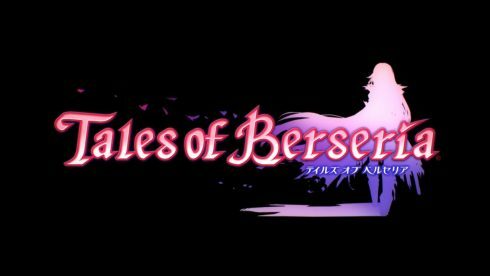 Tales of Berseria isn’t going to the typical Tales game that I always look forward to, and its going to be a story that’s possibly very different from what the franchise is known for. 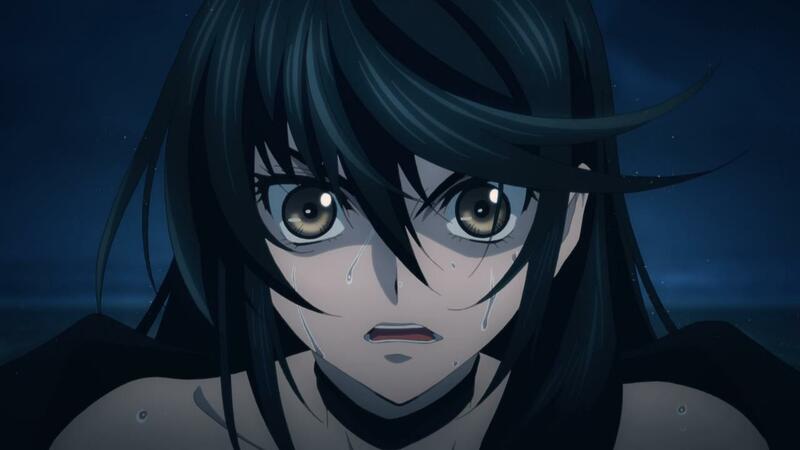 The fact that, was a western fan, I won’t get Tales of Berseria until early next year, makes this whole situation all the more detestable. In the end, I just hope that this move, actually does some good for Namco Bandai and ufotable, because they clearly dedicated a ton of resources and effort into doing this, at the expense of having a bonafide Tales of Zestiria hit anime series. In any case, this horrible diversion and detour is over with. I’m curious to see where we land on, when we rejoin Sorey and the gang in the proper story for this series. 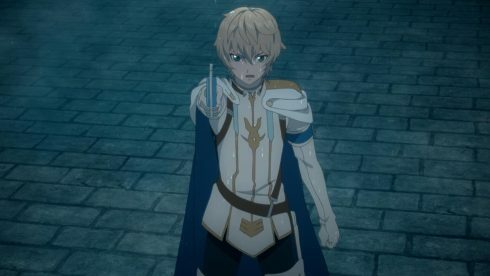 Will the adaptation continue to chart its own course? Or were the big changes that we saw after the first few episodes, really just making room for this two-part promo? 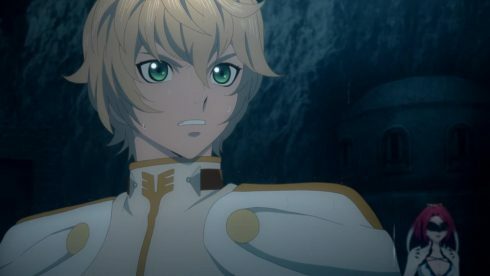 A part of me really hopes that that was the case, and that we can move on and see a faithful adaptation of Tales of Zestiria, from this point forward. Because, as a fan of the game, and as someone who just read the title of this series, that’s all I ever wanted. Note: Offline life busyness has me severaly behind schedule as far as episode blogging goes, so apologies for the lack of proofreading on this post. I’ll get back to this when I can, but for now, the best I could do was throw out my first draft, and get moving.